Natasha’s Pierogi. We are originally from Russia, but now we live in New Hope. We have a store on Quebec Avenue. We make Eastern European pierogi (vareniki), dumplings (pelimeni), borscht, beef stroganoff, cabbage rolls, sauerkraut, and other great foods. I started my business from my basement 7 years ago, after that I found a commercial kitchen and started sending my food at local farmers markets around the metro area. I’m inspired by my mother in law to create great food, and I appreciate friends, family and neighbors who love my food. 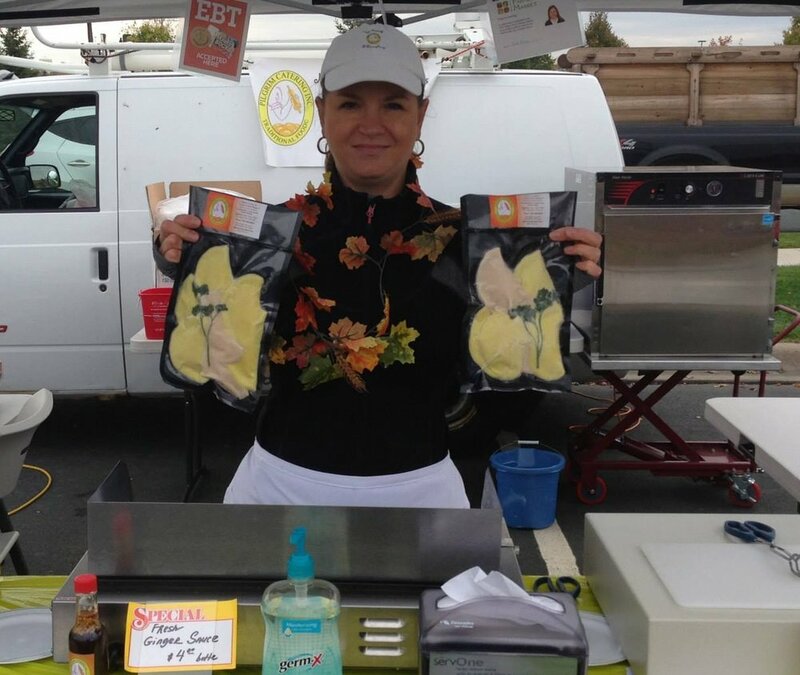 I love to sell my food at markets and interact with customers, and I love to cook! What is your least favorite part of the maker process? Washing my dishes—there are a lot of them! Making jewelry, doing experiments with new recipes, cooking for my family, shopping with my daughter Nicole, and reading old cookbooks!